Royale has a new contest! 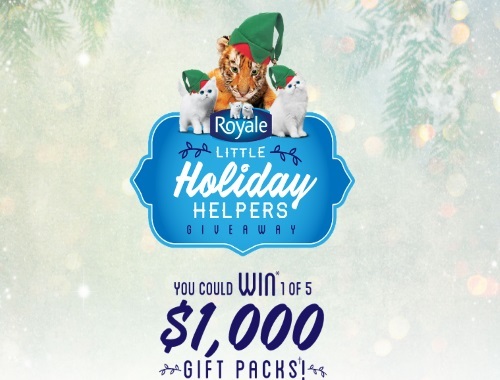 Enter their Little Holiday Helpers giveaway to win 1 of 5 $1000 prize packs! Each prize is a $1000 prepaid gift card. Contest closes January 4, 2018.